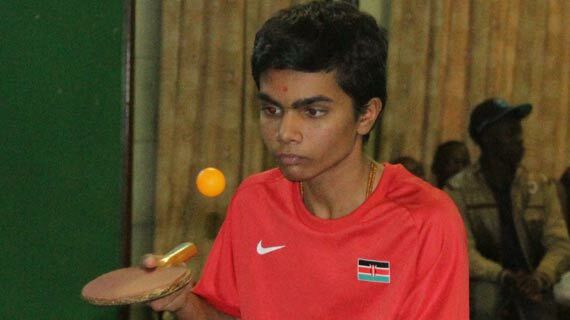 Kenya has been awarded the rights of hosting the 2016 International Table Tennis Federation (ITTF) – Southern Africa Hopes Week & Challenge Tournament scheduled for March 26-31 in Nairobi. Teams expected to participate are Angola, Benin, Botswana, Burkina Faso, Burundi, Cameroon, Central African Republic, Comoros, Congo Brazzaville, Congo Democratic, Cote D'Ivoire, Equatorial Guinea, Gabon, Gambia, Ghana, Guinea Conakry, Lesotho, Liberia, Madagascar, Malawi, Mauritius, Mozambique, Namibia, Nigeria, Rwanda, Sao Tome e Principe, Senegal, Seychelles, Sierra Leone, South Africa, Swaziland, Tanzania, Togo, Uganda, Zambia, Zimbabwe and hosts Kenya. ITTF Technical expert Ronald Mugwanya, recently visited Nairobi for preparations ahead of the tournament. “The 2016 ITTF-African Southern Hopes Week & Challenge taking place in Nairobi in March, will showcase the potential of the local federation in developing the sport in the region”. Mugwanya further stated that as part of the upcoming project, “the ITTF have also appointed Ahmed Dawlatly, the ITTF Technical Expert to lead the training camp and coach education”. Through the support of ITTF, Kenya Table Tennis Association has benefited greatly through the support of Umpires Referees and Coach Education and Athlete Development opportunities.